April 13, 2019 5:36 pm. Jockey Hugh Bowman has ridden Winx to her 33rd win in a row, but says she’s just a good horse. No, Hughie, she’s not just a horse. “At the end of the day, she’s just a horse, she’s a good one, but she’s just a horse,” he said. And a few hundred who couldn’t get a ticket lined the footpath on Alison Road peering through the fence at history. In doing so, the seven-year-old mare won a world record 25th Group One race, became the highest stakes earner in global racing history with more than $26 million and finished a career that featured 37 wins from 43 starts, matching Phar Lap’s Australian record. 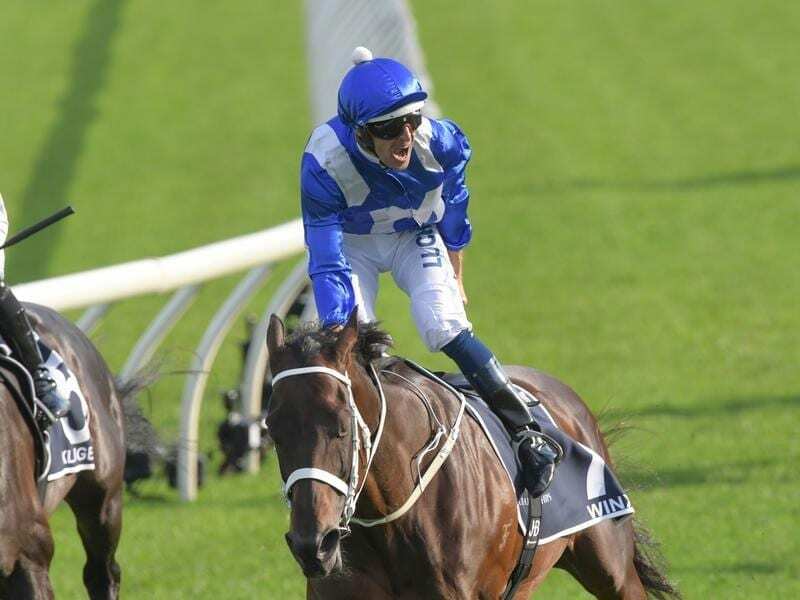 She’s had a race named after her, a stamp honouring her, was only the third horse inducted into the Racing Hall of Fame while still running, is rated the best racehorse in the world and even Randwick was renamed Randwinx on Saturday. “Whether she won or not won, she still would’ve been the great horse that touched our lives and changed our lives,” Waller said of the horse whose win also brought up his 100th Group One victory. No Hughie, she’s not just a horse. And you need to be more than “a good one” to earn the ovation and adoration Winx received at Randwick on Saturday. “What a journey it’s been, it’s hard to believe it’s the end actually,” Bowman said. Bowman said during the week she’s “bigger and stronger and more enthusiastic than she’s ever been”, while Waller has been waiting for the past 18 months for the mare to show signs of wanting to stop racing. Sorry Hugh, she’s not just a horse.